As per 1996 Waste Management Act, Waste means any substance or object belonging to a category of waste specified in the First Schedule or for the time being included in the European Waste Catalogue which the holder discards or intends or is required to discard, and anything which is discarded or otherwise dealt with as if it were waste shall be presumed to be waste until the contrary is proved. Category II waste that contains any of the constituents specified in Part II of the Second Schedule, and has any of the properties specified in Part III of the said Schedule . such other waste, having any of the properties specified in Part III of the Second Schedule, as may be prescribed for the purposes of this definition. Inert waste means waste that does not undergo any significant physical, chemical and biological transformations. Inert waste will not dissolve, burn or otherwise physically or chemically react, biodegrade or adversely affect other matter with which it comes into contact in a way likely to give rise to environmental pollution or harm human health. Any of the activities specified in the Third Schedule (1996 Waste Management Act), and “waste disposal activity” shall be construed accordingly. Any activity carried on for the purposes of reclaiming, recycling or re-using, in whole or in part, the waste and any activities related to such reclamation, recycling or re-use, including any of the activities specified in the Fourth Schedule (1996 Waste Management Act), and “waste recovery activity” shall be construed accordingly. The person/entity producing the waste ie the origin of the waste. Means a producer or holder of waste who causes such waste to be moved from the premises at which it is being held, and includes a representative of that person. Means a person to whom waste is moved for recovery or disposal and includes a representative of that person. Ref Waste Management (Movement of Hazardous Waste) Regulations, 1998. 6 digit number which is derived from the process that the waste originates from. The presence of an asterix ( * ) indicates Hazardous classification. See Link at bottom of page for full listing of EWC Codes as issued by EPA. 4 digit numbers that identify hazardous substances, and articles (such as explosives, flammable liquids, toxic substances, etc.) in the framework of international transport. As set out in the ADR Regulations, the Haz. ID Number is a 2 or 3 digit number which identifies the hazards associated with the substance. Doubling of a figure indicates an intensification of that particular hazard. Where the hazard associated with a substance can be adequately indicated by a single figure, this is followed by a zero. If a hazard identification number is prefixed by letter ‘X’, this indicates that the substance will react dangerously with water. Carbonised document (5 copies) which was issued by the Local Authority in whose area the waste originated (ie is produced). There were 3 parts to the form. Part A was completed by the Consignor, Part B was completed by the Permitted Waste Collector and Part C was completed by the Consignee (ie Treatment/Storage Facility). Each form was uniquely numbered for complete traceability. C1 Forms were required for the transport of Hazardous Waste within the State where the waste was destined for a waste facility within the state (Republic of Ireland). They have now been replaced with Waste Transfer Forms which are completed online. 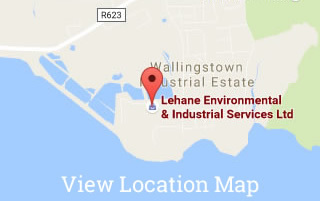 Document required for the Shipments of Hazardous Waste Exclusively within Ireland. Consignors (a producer or holder of waste who causes such waste to be moved from the premises at which it is being held) purchase the WTF online, users complete the WTF online (mandatory information required), Consignors download the WTF and the Receiving facility logs in to confirm acceptance of load. The WTF is a mandatory consignment document used to ensure that the consignment is delivered to an authorised facility. This is a consignment note commonly known as a TFS (Transfrontier Shipment) which is necessary for the export of waste outside the state. A TFS may be for a single movement of waste or can be a general notification for a specified number of movements. A TFS is a two-part document comprising of a Notification Form and a Movement/Tracking Form. TFS forms are obtained from the National TFS Office, Dublin. Each form is uniquely numbered for complete traceability. Certificates confirming the waste removed from site has been disposed in full compliance with all relevant legislation. Contains details such as: Producer, Waste Description, Quantity, C1 Form No, TFS Form No, Waste Disposal / Recovery Facility, Treatment / Recovery Process and Authorised Signatory. A Waste Collection Permit is a Permit issued by a Nominated Authority authorising that Permit Holder to collect waste subject to the conditions attached to the Permit. A person shall not collect waste for the purposes of reward with a view to profit or otherwise without a valid Waste Collection Permit. In the case of a multi-regional Permit the holder is permitted to transport and collect waste within the local authority area(s) permitted. This can include, if requested, all ten Nominated Authority areas that would essentially cover collection activities in the entire Republic of Ireland. ADR is the name given to The European Agreement concerning the International Carriage of Dangerous Goods by Road, which was made at Geneva in 1957 by United Nations Economic Commission for Europe, and amended April 1985. These Regulations apply to the carriage, in tanks, in bulk and in packages, of dangerous goods by road; including the packing, loading, filling and unloading of the dangerous goods in relation to their carriage. They apply the provisions, contained in the technical Annexes to the ‘European Agreement Concerning the International Carriage of Dangerous Goods by Road’ 2009 (ADR). Substances and/or Articles whose carriage of which is prohibited by ADR or authorised only under the conditions prescribed therein. ADR Regulations state the transport units carrying Dangerous Goods must display two rectangular orange coloured plates, one at the front and one at the rear which must be clearly vissible. The plates will have the Haz. ID number (2 digits) at the top half and the UN Number (4 digits) on the bottom half. Plan specifying the procedures which would be put in place in the event of an emergency incident – such as fire, spillage, explosion, medical injury, etc. Lehane Environmental forms an integral part of Clients ERPs providing Spillage Clearance, Pollution Control and Emergency Storage Tank Hire.